Listen to Dr. Mascolo on WebTalkRadio's "Motherhood"
Raising secure and confident kids using best parenting practices from the past. Does it ever seem to you like kids these days are in control of their parents? Having a strong sense of yourself as a parent is key to raising a resilient, independent, thoughtful, and solution-focused child. 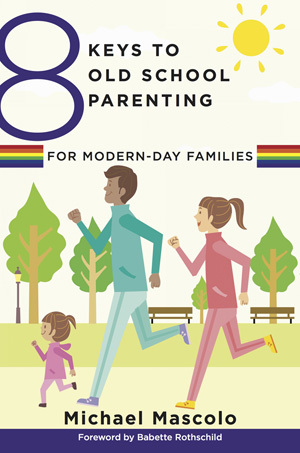 But over the last several generations, parents have been immersed in the well-intentioned idea that parenting should be child-centered rather than adult-centered. Many parents have begun to follow their children’s lead rather than insist that children adapt to parental prerogatives. Parental authority has come to be seen as a bad thing. 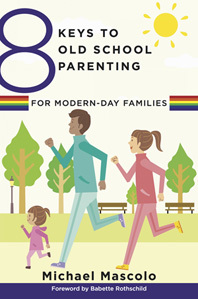 The 8 keys presented in this book focus on valuing your own authority as a parent; cultivating your child’s character; applying discipline instead of punishment; strategies to motivate compliance; fostering emotional development; problem-solving; conflict management; and effective communication. They will help parents raise self-directed children who are active learners, feel good about themselves, take initiative, and have a strong moral compass.